Meeting at KQED solidifies a plan for a collaborative reporting effort on June 29. 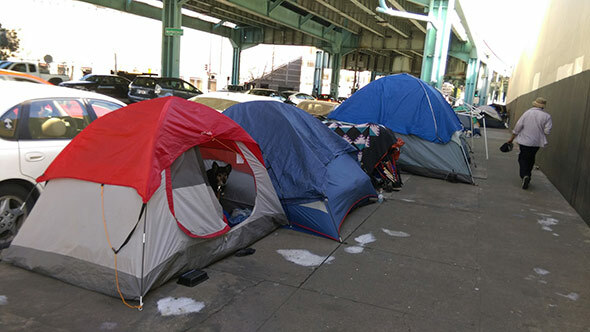 Over the past year, KQED News staff has had multiple conversations about how to best continue covering the Bay Area’s housing and homeless crisis. Last week, more than 40 local media organizations gathered at KQED to propose coordinated coverage of homelessness, focusing on context and asking for solutions. KQED serves the people of Northern California with a public-supported alternative to commercial media. Home to one of the most listened-to public radio stations in the nation, one of the highest-rated public television services and an award-winning education program, and as a leader and innovator in interactive technology, KQED takes people of all ages on journeys of exploration — exposing them to new people, places and ideas. As other news organizations have shrunk, KQED has expanded its efforts to cover the issues and events that are important to the Bay Area. As the most trusted source of news in the Bay Area, KQED is a multiplatform operation with offices and bureaus in San Francisco, San Jose, Sacramento, Fresno and Los Angeles. Stories from all KQED news programs are featured online at KQED.org/news.